Beatles FAQ: Why was Love Me Do chosen to be The Beatles first single? Why was Love Me Do chosen to be The Beatles first single? 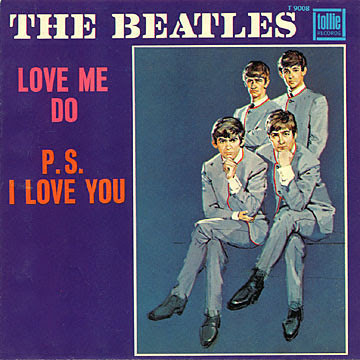 'Love Me Do' is Paul's song. He wrote it when he was a teenager. Let me think. I might have helped on the middle eight, but I couldn't swear to it. I do know he had the song around, in Hamburg, even, way, way before we were songwriters". John Lennon in David Sheff's : All We Are Saying). For their first single, George Martin wanted The Beatles to record a promising song by Mitch Murray, a young British songwriter. . Reluctantly, Martin allowed them to record LOVE ME DO - the song he considered the best of a bad bunch. 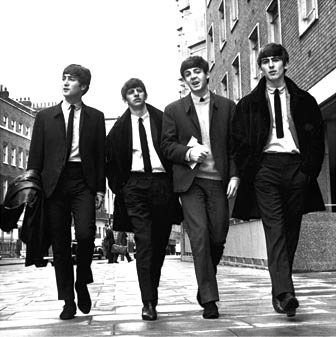 The Beatles approved, knowing that the song was very popular live. Recording it, however, would prove problematic. The first (test) session took place at Abbey Road in June 1962 - and it proved a very unhappy one for then Beatle member, Pete Best. By the time of the second session, in September, Best had been sacked and replaced by Ringo Starr - but again the result was not what Martin needed. A week later Ringo was relegated to playing the tambourine, while session drummer Andy White played drums. LOVE ME DO was released on October 5, 1962. It performed very modestly in the UK chart, reaching number 17. Even this flattered the number of real sales, as Brian had bought had bought numerous copies from key record shops. An initial US release in February 1963 also had little impact. Hindsight suggests that George Martin's original judgement about the commercial viability of HOW DO YOU DO IT was right. In March, 1963, Gerry & the Pacemakers took it to the top of the UK charts. Long term, however, The Beatles had made an important statement, establishing the credibility of the Lennon & McCartney songwriting partnership.